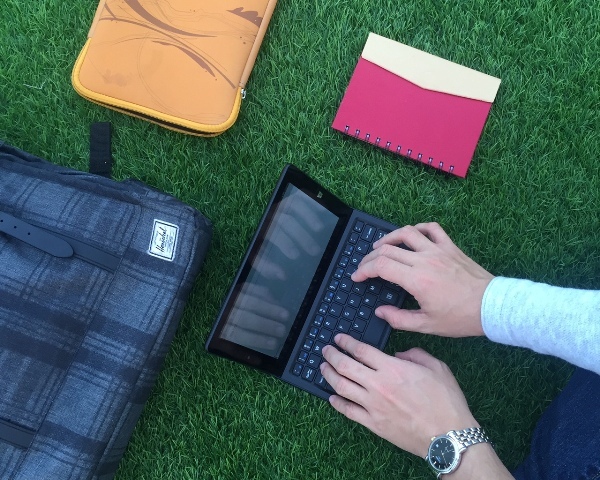 Want to be productive even when you're on-the-go? 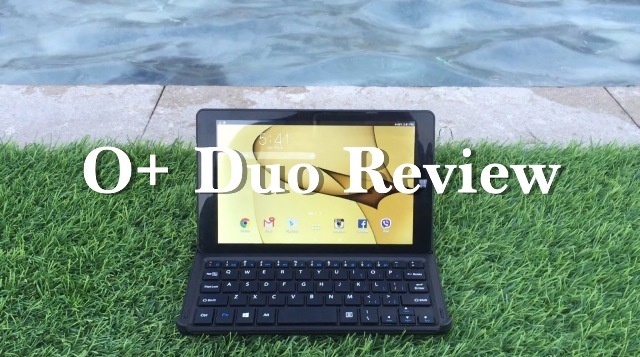 Easily swap between Android and Windows 10 OS with the affordable O+ Duo. Read our Review and learn more. Earlier this year, O+ releases a unique device that could boot into both Android and Windows 10 platforms. The slate dubbed as the O+ Duo is entirely a different animal in the local tablet market. 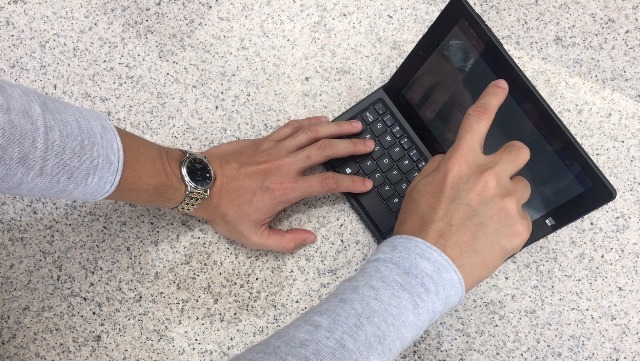 The device also appeals as a portable workstation with its keyboard dock. The O+ Duo is marketed to be a productivity device with its easy swapping OS capability and bundled hardware. With these two marquee features and an asking price of Php 6,995, could O+ USA score another hit device in the market? The slate is dominantly made of plastic with an imposing bezel built to let you hold the tablet sideways. The front panel houses the VGA front camera and proximity sensor above the display. Meanwhile, the Windows 10 logo is found below the screen that also serves as a capacitive home button. Flipping the device, you will find the O+ branding conspicuously centered in the back panel in landscaped position. On the same point of view, there’s the 2MP rear camera on the right side near the curved edge while the speaker grill is situated on the lower left side of the panel. The tablet is basically made up of glossy plastic material. However, it’s not protected with polycarbonate layer so it can be prone to a lot of scratches. The micro USB and the micro HDMI ports are found off-centered at the top side of the device in portrait mode. Right across, there’s also the 3.5-millimeter audio jack. The volume rocker settles on the tapered right edge of the slate just below the power button. The close proximity of the power and the volume up button makes it an issue in pressing these buttons at times. You can also see the microSD slot above the magnetic pins on the right portrait side of the slate. O+ Duo’s 8-inch 1280 x 800p display makes it look taller compared to any other conventional tablets in its price standpoint. The display is one of the best features of the tablet. The display allows movies and games look awesome while running their specific apps. Colors are vivid and bright. The O+ Duo has a tendency to “under-saturate” colors but it might never be an issue if you’re not nitpicky. Viewing angles are also good for sharing even in oblique position. At this instant, the O+ Duo is fast. It is powered by a 64-bit quad-core Intel Atom processor ticked at 1.3GHz speed. The CPU is coupled by 2GB of RAM for faster app launching and multitasking activities. In my experience of using O+ Duo, the slate registers smoothly with Android Lollipop OS. I rarely experience stutters or scrolling issues of any kind. Though it may be forgivable and recovers instantly, the O+ Duo may have more jitters when booting with the Windows 10 OS. It’s the same reason that I often use the tablet with the Android Lollipop. The speakers are not that impressive, I tend to use an external speaker for movie sessions. However, the Duo is a great consumption device. It makes lengthy hours of reading eBooks worthwhile. The O+ Duo comes with a 64GB internal storage. If this is not enough for you, it’s a good thing there’s the microSD slot to give more space for additional files. It is also equipped with microUSB 2.0 which you can utilize to transfer files to an external hard drive. Additionally, the USB-OTG can charge other devices giving them more mileage. However, you don’t want to do that considering the Duo’s battery is short of being impressive. Using the 4500 mAh battery continuously could get you almost 4 hours. Aside from the numerous selection of Android-based productivity apps, the tablet also boots with Windows 10 giving the users a familiar set of office applications. The tablet may not come with a licensed version of MS Office, but you can still pull up the web version of popular titles like MS Word, MS Excel and MS PowerPoint as long as you are hooked up with a Microsoft account. I always use Microsoft Word. This allows me to keep up of my daily outputs even when I’m on a bus or in a coffee shop. For consumption, I shift back to Windows 10 tablet mode or alternately boot with Android 5.0 Lollipop to get the latest with my news aggregator app. Using the Duo as productivity device takes the keyboard dock to the spotlight. However, you have to rely to the tablet’s touchscreen in navigating its interface. The dock is smaller than the regular keyboard with less space in between keys. However, you’ll get the hang of it with frequent use. The keyboard dock’s size complements perfectly with the tablet. It's magnetic pins snap perfectly to the slate. Moreover, it serves as protection to the tablet’s front panel. 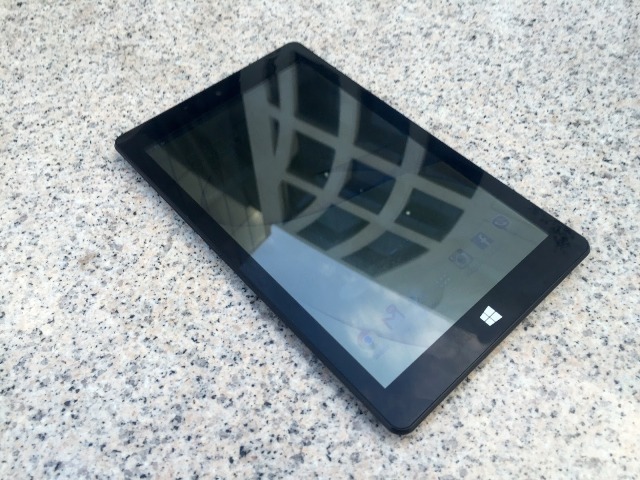 Hooking it on to the front of the tablet is as simple as snapping its edges to the filleted corners of the tablet. O+ Duo is a great device. It promises to take advantage of the vast app ecosystem of the Android platform. At the same time, it also taps the unparalleled productivity of Windows 10. With the right applications, you can do a lot with this dual OS slate. Will it replace your laptop? Not quite. But make no mistake, the O+ Duo is a very portable device. It’s quite handy and easy to set up allowing users to accomplish tasks on-the-go. This makes it a legit companion for students and productivity-oriented users.